At the dawn of the historical era in North America, perhaps earlier than 1400, several ecological events coalesced to change the way of life for native peoples living east of the Mississippi River. For centuries, native people created agriscapes across parts of Eastern America, which included clearing fields, creating grasslands and savannas, and promoting rivercane in large canebrakes. Rivercane was the highest-yielding native pasturage in the Southeast and provided winter forage for elk, deer, and buffalo. Large savannas along the Mississippi River were maintained by systematic annual burning, with canebrakes being burned every 7 to 10 years. Open woodlands and park-like savannas were widespread. At some point in time, buffalo crossed the Mississippi River and filled an ecological niche that spanned at least three or four hundred years. This niche is believed to have resulted from a population crash of Pre-Columbian native peoples by European-introduced disease that may have killed 90% of as many as 1.7 million people. Rivercane likely invaded abandoned fields after the crash of native populations. The Cherokees were estimated at 32,000 in 1685, 16,000 in 1700, and 11,200 in 1715. The abandoned towns, fields, and grasslands in the East were perfect habitat for migrating Western buffalo (Bison bison bison,), with herds peaking between conservative estimates of 30 million and more popular estimates of between 45 and 60 million. Records tell that these wild buffalo were shy and advanced away from human settlements. 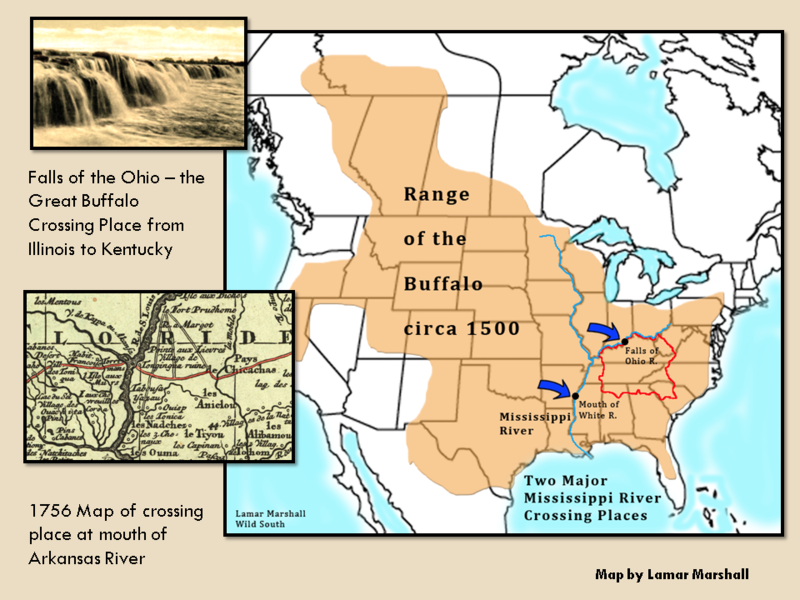 Several crossing places on the Mississippi and Ohio Rivers allowed for eastward expansion through Louisiana and Mississippi to the Gulf States, as well as the Great Lake region and northern states. Biologists agree that the Eastern Buffalo was the same as the Plains buffalo (Bison bison bison) and crossed the Mississippi several hundred years ago. 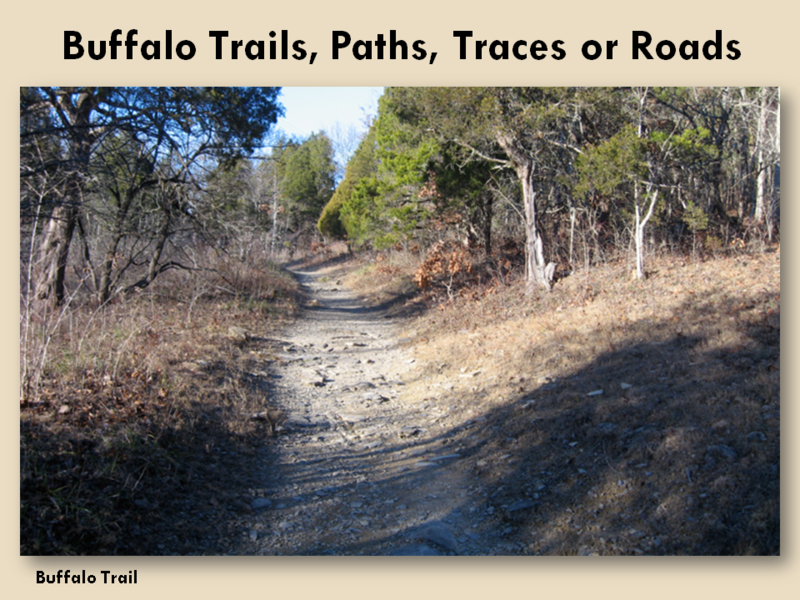 Although archaeological evidence is scant regarding buffalo material remains, there is overwhelming recorded testimony to substantiate its presence across all regions of the Cherokee territorial claim. Besides meat, the Cherokee and all Southeastern tribes utilized the buffalo for leather, war shields, moccasins, robes, sleeping rugs, bull-boats, horned headdresses, horn spoons, and woven wool clothes and accoutrements. 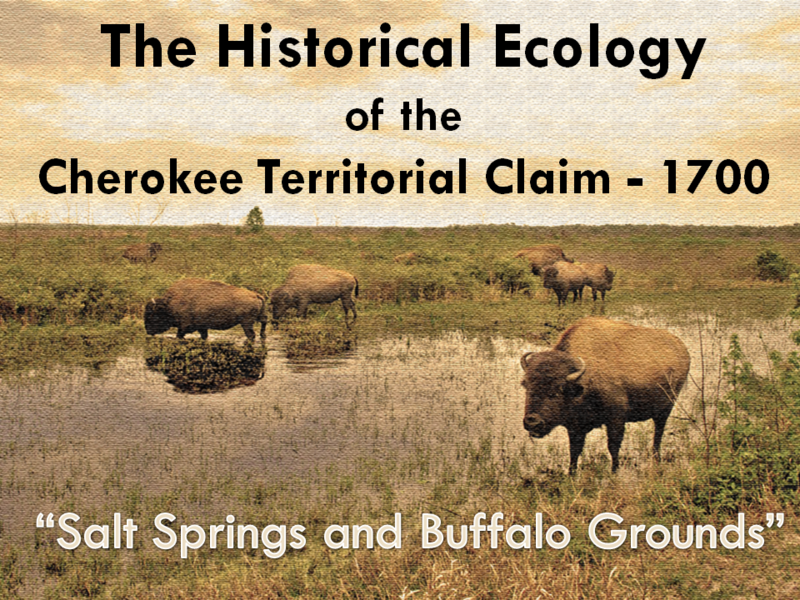 Several other important ecological factors added to the incredible richness of the historic Cherokee territorial claim, which was, in reality, a great reserve of natural resources. Foundation species such as the American chestnut and ecological engineers including passenger pigeons and beavers helped to define the biology of the landscape. 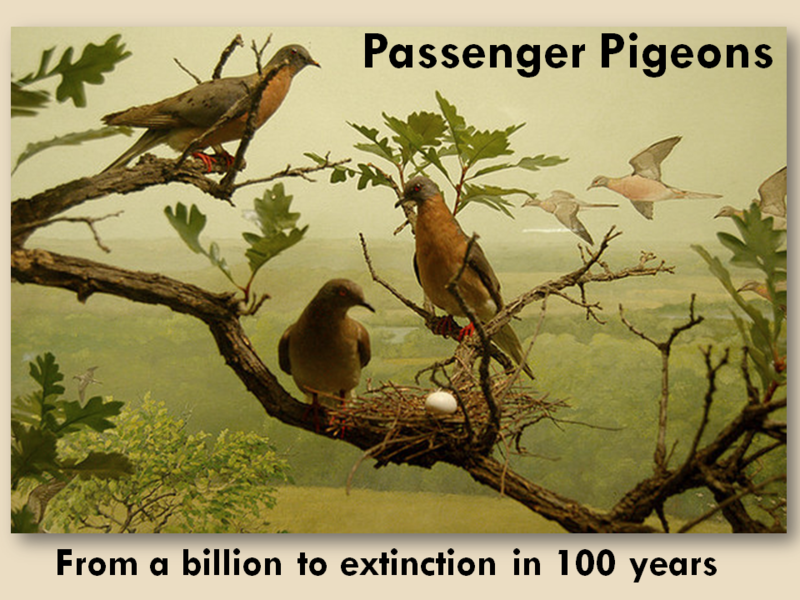 Passenger Pigeon populations reached a billion birds. The pigeon provided meat, cooking oil and forest fertilizer. Their impact was immense to the plant life that spanned four broad ecological provinces and included portions of eight modern states. The Cherokee welcomed the buffalo and it became one of the four big game species that served as the foundation of their hunting economy and lifestyle: buffalo, elk, bear and deer that inhabited grasslands, Piedmont prairies, the Appalachian Mountains, and lowland swamps, canebrakes, and savannas. The Cherokee also quickly mastered the use of horses, which expedited hunting, warfare, and travel. The American chestnut was the foundation species that supported an abundance of wildlife and a staple food source. Native peoples relished chestnut cakes. Unlike oaks – which bloom early and are frequently killed by early frost – the chestnut bloomed later and was a dependable annual crop. Four billion trees, each laden with as many as six thousand nuts, comprised sometimes 25 to 30% of Appalachian forest stands. When the chestnut died out, reduced the Southeastern mast crops by an estimated 35%. Native people perfected the use of fire over millennia and used this tool to create and maintain grasslands, sometimes called barrens or deserts. Savannas, which resembled open, woodland parks, as well as canebrakes and strawberry fields, were also burned regularly. 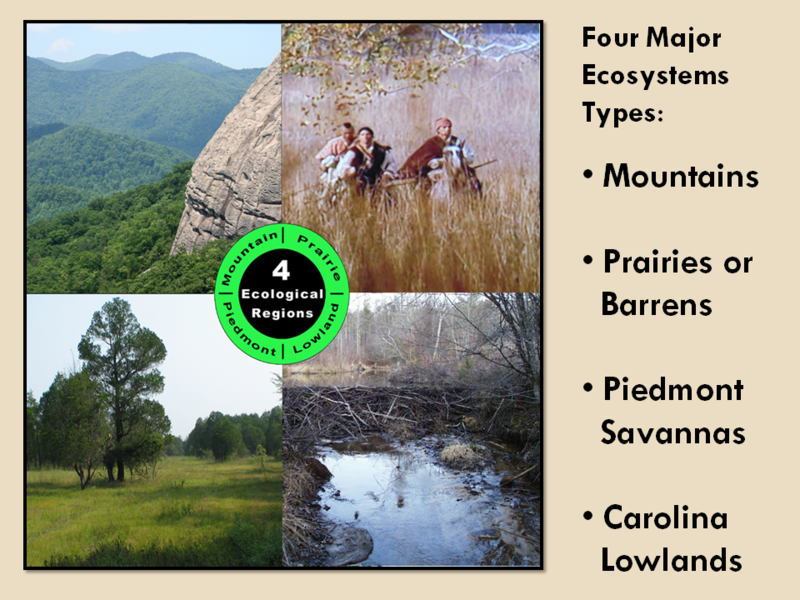 These various habitats constituted the Northern Cherokee Buffalo Grounds in TN and KY and the Southern Buffalo Grounds south and east of the Appalachian Mountains. High elevation beaver ponds killed trees and created meadows, which might explain the “buffalo pastures” that surveyors referred to on the headwaters of the Catawba in 1755. Wild South’s Cultural Heritage Program is made possible by funding provided by The Community Foundation of Western North Carolina, Cherokee Preservation Foundation, and generous support from readers like you. If you have not yet, please make a donation to help continue this critical work.